Is this man really all that likely to incite violence? An entire festival has been cancelled after Pete Doherty's Babyshambles - the headliners - were banned from performing after action by police, who were concerned the group's appearance would incite crowd violence. Moonfest festival was due to be held in Wiltshire, UK, at the end of August, but organisers have now cancelled the event, presumably for financial reasons. Babyshambles' festival block - believed to be the first ban of its kind under the 2003 Licensing Act - was imposed after Wiltshire Police consulted industry 'experts' to assess whether the band's set would be a potential public safety hazard. 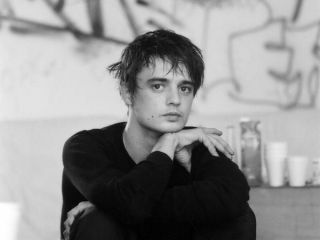 Chief Superintendent Julian Kirby said Wiltshire Police had "carried out an analysis of what Pete Doherty and his band does. What he does as part of his routine is to gee up the crowd. They speed up and then slow down the music and create a whirlpool effect in the crowd. [The crowd] all get geed up and then they start fighting." According to Superintendent Paul Williams, the profile of fans of the 'shambles is "volatile" and shows they can "easily be whipped up into a frenzy, whereas the profile of someone that would follow around Cliff Richard or Bucks Fizz, for example, is completely different." The cancellation is a real blow for the festival organisers, as well as the other bands due to appear, who included the Australian Pink Floyd and Ozric Tentacles. MusicRadar, for one, is frankly astounded by the police's comments. If Bucks Fizz ripping off their long skirts to reveal very slightly shorter ones underneath doesn't get people 'whipped up into a frenzy', then we don't know what will.